After raking in over $400 worldwide, The Wolverine has inspired Twentieth Century Fox to negotiate terms for a 3rd installment with writer/director James Mangold. While he did do a better job than the team that made X-Men Origins: Wolverine, it really wasn't that difficult to do as they set the bar low enough to be considered on the floor. Honestly, this is not too surprising- if people keep paying the studios will keep making them. Are we ready for another less than amazing story of someone bemoaning his origin and immortality? Fox, why can't you get a Wolverine done by a decent writer and director? Where's the team that can compete with Nolan's on The Dark Knight level? I've written enough on the subject of handling this character so poorly plenty of times. About teen angsty Logan mopery, bemoaning his past, and the need for real grit in the series. If Marvel wants to create a series worthy of a man who is the best hunter/killer they need to really hunker down and focus. We do NOT need another one-note-Wolverine film. He needs to grow as a character, and that still hasn't happened in the X-Men film franchise. Fans are sick of watching him cry into his beer. Mangold clearly did not read the Frank Miller derived source material, because the film lacks any of the noirish Japanese underworld feel. It is also missing any of the crime drama that could've been tapped. Seriously, I think Mangold only read the back cover's blurb then used the pages for toilet paper. That being said, I am quite worried as to what he'll beloved story will be wrecked next. 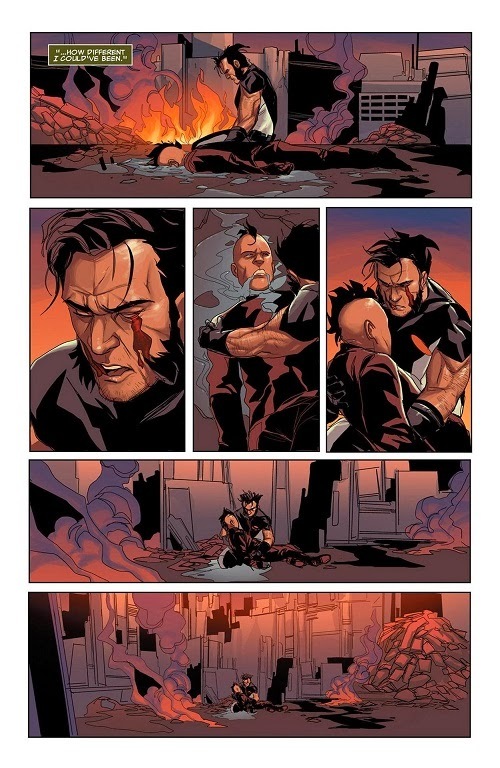 They could even make a story featuring a Daken like child he never knew he had. The kid would be an absolute monster- enjoying all the killing and abusing his powers. Following Wolverine around and wreaking havoc on anyone he comes in contact with. 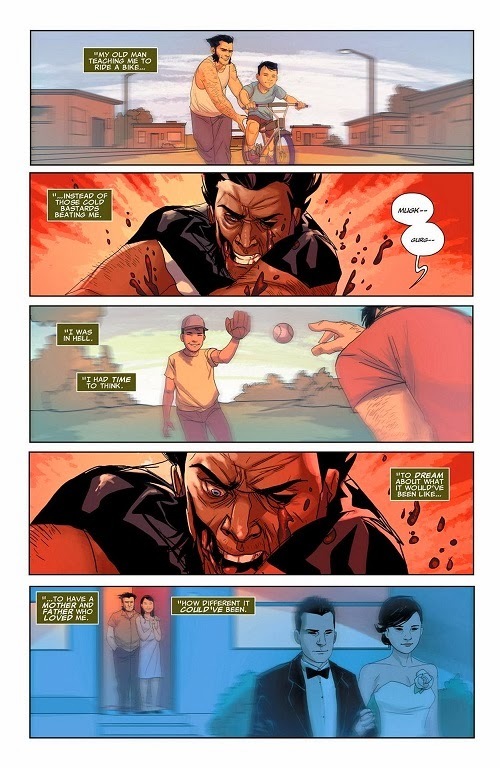 In the end Wolverine would be forced to kill him. If it was handled correctly the impact of the story could be immense. A small intimate scale of personal, character driven plot. Subtle, yet powerful. 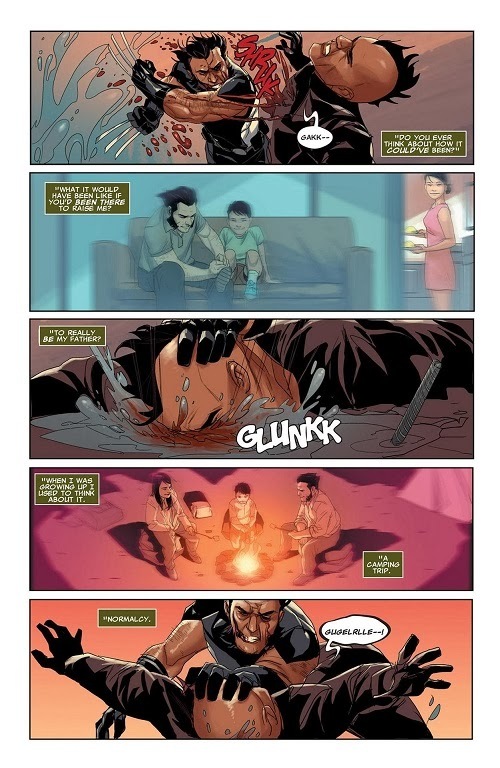 Uncanny X-Force 34 did it very well with Daken imagining the ways life could've been different with a father around as he is dying at his father's hands. We'd even get to see that famous adamantium rage with all the feral savagery an R-rating could muster. A bloody mess of a battle between two near-immortals. We'd need an R-rating so they could stop pulling punches and give us a Wolverine we deserve- the ultimate Marvel badass that is "The best there is..."
There are so many options. Do something original. Think of a period piece set in the cold war era about Wolverine in old Soviet Russia hunting down Omega Red. Maybe even a short survivor-horror tale about Logan wandering the Canadian wilderness tracking down the Wendigo. A black ops Weapon X film where they are sent in to assassinate someone a little too powerful. I've said it plenty of times, Marvel- it's time to take the kiddie gloves off and make films for fans older than 12. Take the risks and make a movie worth watching. Make a movie worth talking about.